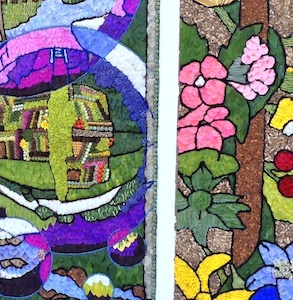 The 2018 well-dressing season is about to begin and, if you have time, we would strongly recommend that you visit at least one in order to understand this peculiarly Derbyshire custom. 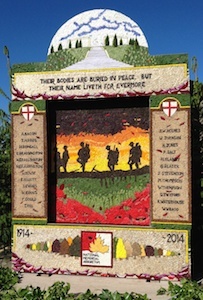 Well-dressing is a tradition almost exclusive to Derbyshire and much about it remains a mystery. The creation of a picture or design using natural objects (usually flower petals, leaves, mosses and stones) pressed into a mud filled frame. It takes about a week to make the pictures from filling the frame with mud, “pricking” out the design and pressing the natural materials into the mud. The frame is then erected, usually close to the village well or wells. Usually the local clergy then blesses the wells and their dressings. They remain on display for about a week. It is best to go and see them in the first day or two, whilst at their freshest. Many villages also welcome visitors to the making of their well-dressings. It is thought that the earliest well-dressing were a pagan giving of thanks to the water gods. The early Christian church absorbed the practice rather than outlaw it so that today well-dressings tend to have strong religious links and quite often have a religious theme. Derbyshire sits largely on a dome of limestone. Limestone is a porous rock and rainfall swiftly runs away into the fissures and gaps of the limestone pavement. Villages were, therefore, sited where there were sources of water or springs. Spring water was absolute vital to village life and their reliability crucial. It is thought that the purity of the spring water kept villagers in Tissington safe from the plague of 1348-49. Reasons, therefore, to be thankful for the wells. 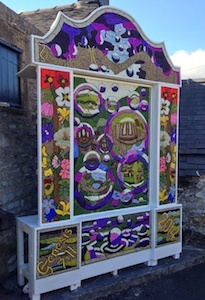 Visit www.welldressing.com – for a timetable of dressings to be seen around the county over the summer. But the attractions are all closed!